Delft makes you happy! 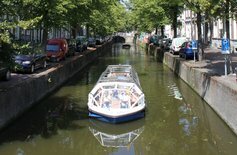 So Happy Day tours has a lot of interesting package deals to make a visit to Delft worthwhile. Whether you are travelling alone or in a group, we have a lot to offer. Looking for a customized tour? Contact us and we will help you to plan your Delft tour. For 15 years Happy Day Tours has been the booking office for day trips and guided city walks. We do not only offer day trips in Delft, but also in The Hague, Rotterdam and Amsterdam. 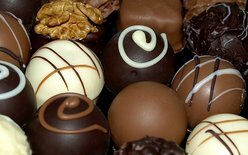 Be creative and join in one of our workshops in Delft: chocolate making, Delft blue tile or plate painting, Dutch cheese tasting, beer tasting or cook your own dinner. Discover Delft from the water and make a (covered) canal boat tour through the gorgeous Delft canals. We offer boat trips combined with walking tours. 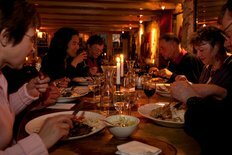 A 3-course meal in 3 different restaurants connected by interesting walking tours with a local guide. 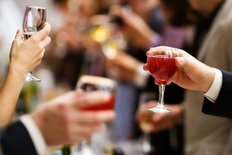 Start your weekend with our Friday high wine or high beer tour! Get to know the city with a local guide and then enjoy several small dishes and wine, beer or soda. 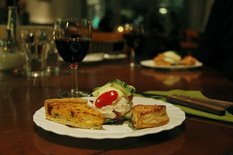 Exclusive Canal House Dinner including a short guided city walk. Brand new in Delft! Spend your Delft day the way you like! 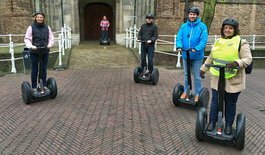 Discover Delft on a Segway! 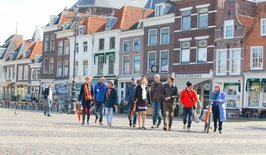 After a short instruction and a bit of practice, you are ready to discover the historical city of Delft safe and relaxed.